Timber frame with hand painted central panels and frame in gold or silver foil finish. Two colour ways. Instant glamour. Nod to Art Deco style. 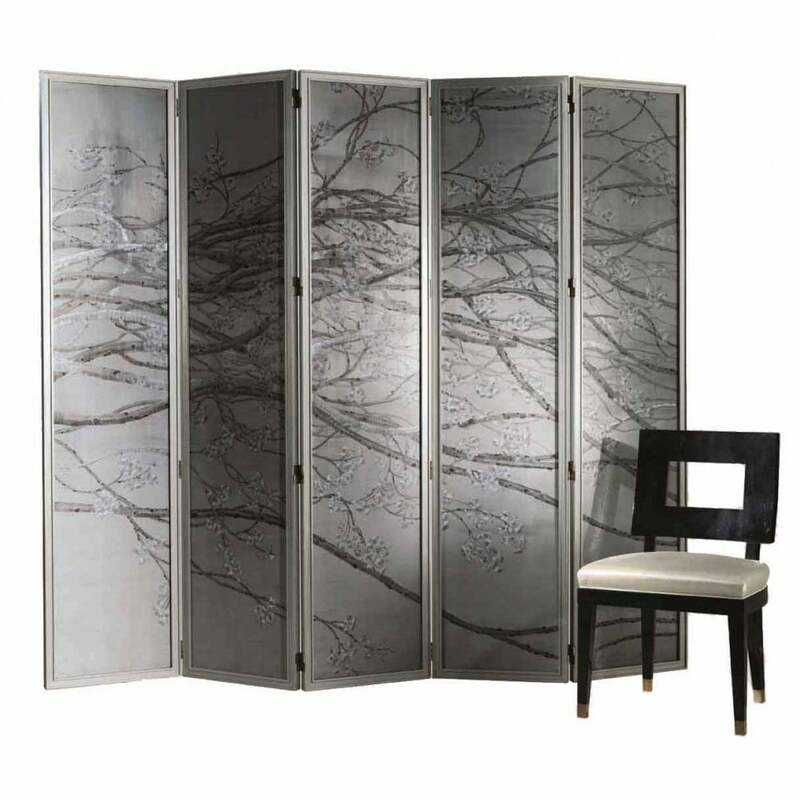 Bronze Screen XIV or XV Add to zone a living space. Divide a room in an open plan apartment. Create a luxurious dressing room or bedroom. Adds colour to a monochrome space. Use in living space as art. Bring tones from the screen into accessories such as cushions and throws for a cohesive scheme. XV - mustard yellow, lilac blue, dusky grey, pale pinks, soft grey and pale blue. Natural tree design. A serene scene. XIV beautiful branches and flowers, tones of grey and silver, understated and very pretty.